Coming up with an idea is easy, enacting it is a bit more difficult. Get started down the path to success the right way so it's not some abstract idea floating in your brain, but rather a physical plan of action. The story of America’s economic history has proven that recessions are great for us. How can this be? Well, a recession is more like a correction. The economic squeeze causes people to take a step back from mindless consumerism and focus on what’s important. The tough job market causes students and recent grads to really focus on what they want to do and become one of the best at it. In essence, recessions make people stop and think. That’s a good thing. Microsoft and eBay were started during a recession. As a matter of fact, most of the powerful, game-changing companies of today were started in times of past economic crunch. Everyday millions of guys are stopping to think. This is a time when millions of Americans are dreaming big dreams and setting high goals. Everybody either knows someone, or is that guy, who has “a great idea”. Some people advance that idea a little and turn it into “an amazing concept.” A few more people might even advance to my personal favorite stage-“about to blow up”! There are no shortages of ideas, dreams, or goals. The question is how to turn those into realities. The true secret of success is not goal setting, but active planning. When you state your goal or idea it only confirms that it exists or is possible. It does not become real for YOU until you create a solid plan to achieve your goal. The world is full of places, but no place becomes your destination until you plan a journey there. You cannot develop a solid plan for your success until you are absolutely clear on what you want. You can do anything, but you can’t do everything. I know it was a great way to think and feel when you were 8 years old, but things have changed. You’re 25ish now and you can ‘t be a policeman/firefighter/NBA point-guard anymore. You need to focus on what you truly want and pour your energy into it. Ask yourself some tough, honest, analytical questions until you have found what you want to do most in life. It’s alright for this to change over time, but at some point you have to be clear on something. Think back to the last time you watched a great football game or classic long movie (think Godfather). You sat down with a family size bag of Doritos and “accidentally” dusted off a whole bag by the time you got off the couch. Goal setting and planning pretty much works the same way. You take a large task, focus on each moment at hand, and complete it bite by bite. Whatever goals you have are made up of small incremental steps toward it. Visualize your goal in your mind and begin to work backwards with each necessary step to achieve that goal. Break those steps down into monthly, weekly, daily tasks. No one can get six-pack abs overnight. However, almost anyone who properly plans an exercise and diet routine can lose a steady 2lbs per week until that spare tire is gone. 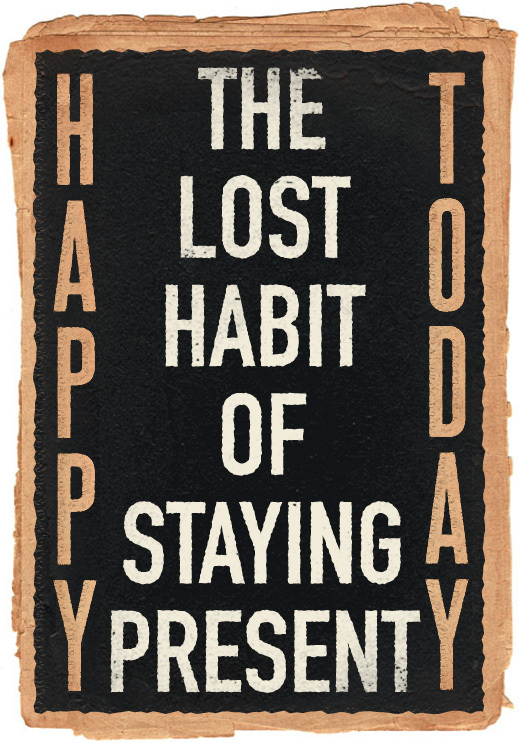 Begin looking at your goals as a collection of tiny steps and don’t wait until you have completed them all to be happy. Celebrate each small accomplishment in order to stay motivated towards achieving your goal. Countless psychological studies, interviews, and surveys have been done in relation to successful, high-achievers. One of the few agreed upon facts over the years is the power of writing goals and plans down. A plan that is not written is as weak and fragile as a goal with no plan. The physical act of actually writing your plan on paper gives your plan a conscious and subconscious sense of realism. Plans that are only in your mind remain there as something you hope to do. A written plan takes on the added energy of something you must do. Once you’ve developed your plan you must write it down and review it daily. As you review, write, and re-write the steps of your plan it will grow and become reality. A daily review of your plan puts your action steps into perspective and speeds up your journey to success. Goals are great, but without a plan they are merely dreams. Antwan McLean is an author, speaker, life coach, and modern Renaissance Man. He shares the wisdom of old in a way you don’t have to wait until you’re 40 to understand. You can find him on Twitter @froma2z and check out his newest book, “Your Greater Self: An A-Z Guide to Becoming the Person You Most Admire” on Amazon.com. I know people who have had great ideas but because of lack of action, just never amounted to anything. The day I started really taking action (really) was the day that I began to really see the difference in my business ventures…I agree entirely. GTD and backwards planning also helped a lot. 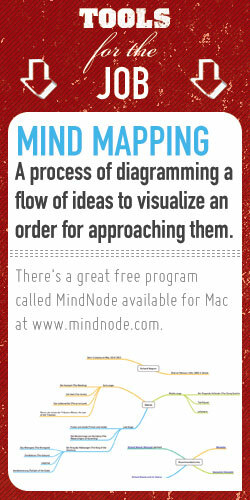 Another (free) mind mapping software is “freemind” – can be found on wikipedia. doesnt have all the features of the paid ones, but is very handy, as this is what I always began using. Glad to hear you’ve found a process that works! I’ve only seen a little about GTD, but you’ve liked it? Thanks for the Freemind suggestions! I’m using mindmeister.com and it’s helped me tremendously. Just to add my 2 cents to what Schmidty said: Great ideas are indeed great but we’re not fit to go through will all of them. Let’s take a biz idea: if you’re a programmer and you have this crazy idea for a night club that would make everyone come to the venue, you’re probably not the best guy to do it. Again, I *love* brainstorming because it’s the only way you can make solid progress. I’m just taking things one step further.